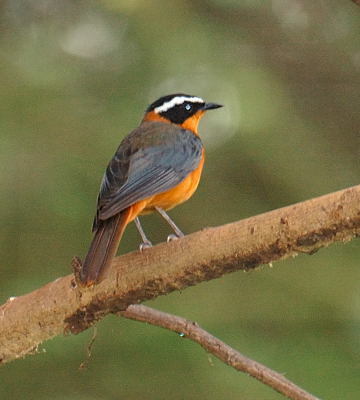 The left upper photo of a white-browed robin-chat was taken at Klein's Camp (11-08), courtesy of Steve Brynes. 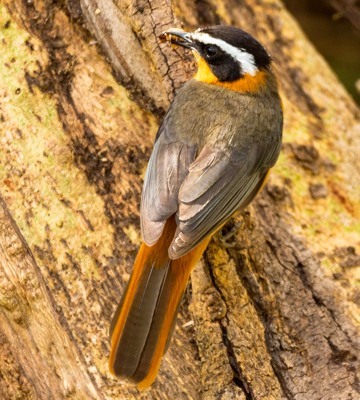 The top photo was taken in the Ngorongo CA (1-18). 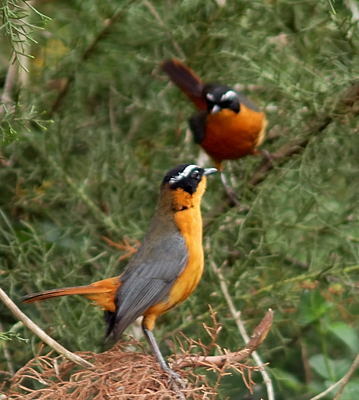 The right 2nd row pair was seen at Marangu (11-03). 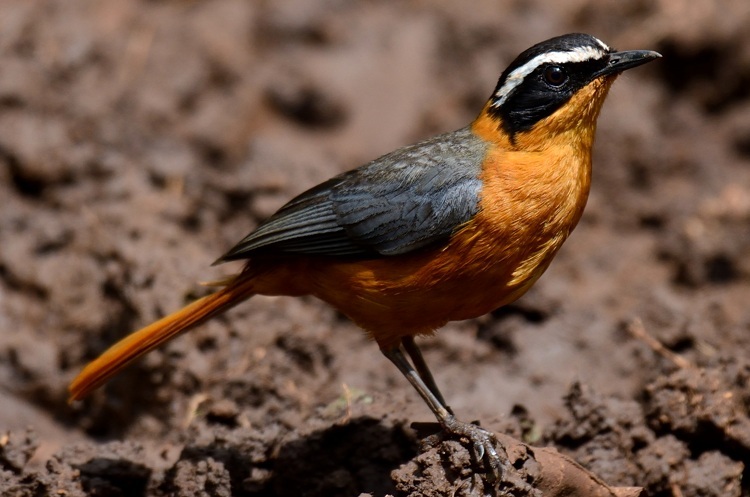 The chicks in nest were in Dar es Salaam (2-10), courtesy of Anne Outwater and the fledge was in Mwanza (6-16), courtesy of Graham Long. 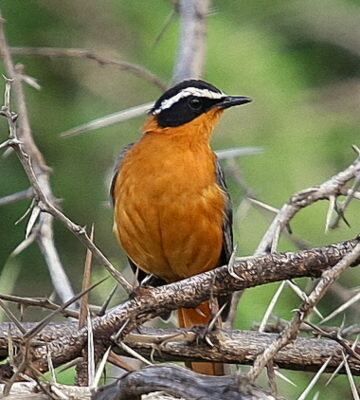 The right lower photo (Cape Town, 12-16) is courtesy of Gerrit Wyma; note the olive-brown central tail feathers which separate this species from Rueppell's robin-chat with black central tail feathers. 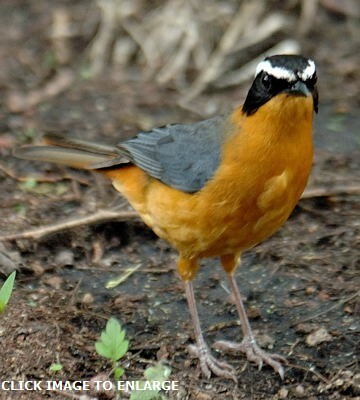 The 3rd row bird was in Ngorongoro CA (1-14). 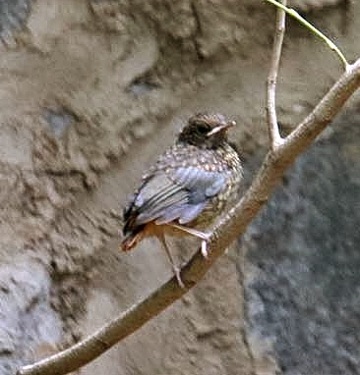 The other adults were seen in the Migunga Forest (12-08). 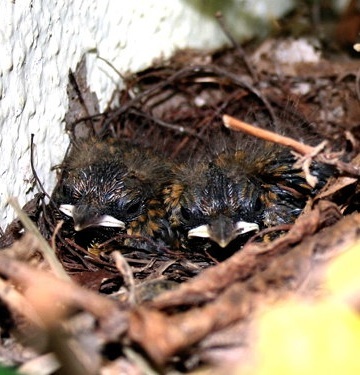 The enlargements include eggs, chicks and a juvenile.